Captivating the skills of our professionals, we are involved in rendering Water Plant Repairing Service. 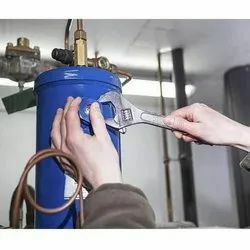 At most reasonable rates, we are providing Water Softener Plant Repairing Service to our patrons. We offer our clients flawless Water Plant Repairing Services. The range of service includes repair, change of water filter and delivery of repaired products to keep water softener salt delivery to an optimum level. Matching up with the ever increasing requirements of the customers, we are engaged in providing Water Treatment Plant Repairing Service. Backed by the team of our adroit professionals, we are involved in providing Water Plant Repairing Service to our clients. These Repairing Service are executed by our team of diligent professionals who hold several years of experience in this domain. We execute these services timely. Keeping in mind the various requirements of the customers, we are involved in providing water treatment plant repairing service. Soda, Carbonated soft drinks, flavoured drinks, CSD etc production plant, machines & equipment. We offer our clients flawless Drinking Water Plant Repairing Services. The range of service includes maintenance, repair, change of water filter and delivery of repaired products to keep water softener salt delivery to an optimum level. The main motto of our services is to protect the filtering equipment like water well, storage tank and pumps for longer run.